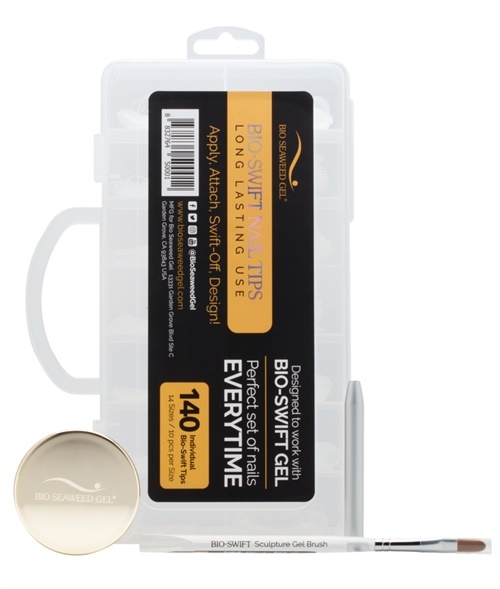 Bio-Swift from Bio Seaweed Gel is a reverse nail tip system that creates beautiful and natural-looking gel extensions in half the time. With no glue, forms or artificial tips required, this system couples new techniques with BSG self-leveling builder without heat spikes. To enter to win this product, leave a comment on this post. One lucky winner (U.S. and Canada only) will be selected on Monday, August 28. Visit Bio Seaweed Gel at www.bioseaweedgel.com or follow them on Facebook. See a video tutorial of Bio-Swift in action.